A Sure Success in European Music Houses and Concert Halls ABBA is still selling about 2 million records a year. ABBA is and will always be a success. The same goes for the big production ‘ABBA – The Music’ about ABBA’s musical story performed by the Swedish cover band Waterloo together with The National Symphony Orchestra from England. 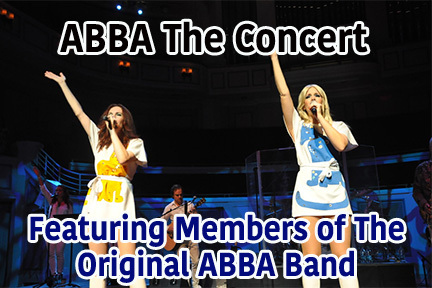 Praised by the Critics Seen and praised by thousands of people in the North who have already taken the trip from 1969 to 1981 with the story of ABBA and their greatest hits played live by a band which does not only sound like ABBA but also resembles them, spiced with the sound of a 23-piece symphony orchestra. The experience of one of the greatest pop bands of all times is complete.